How do today’s companies inspire, and enact, loyalty within the shifting parameters and instabilities of the contemporary business world? This is the question that gnaws at me. It really is a quandary in the world of “at-will employment.” Downsizing, right-sizing, presumed right-sizing, grading, rating, ranking, bottom 10% trimming (yuck! ), all of these are the strident tools of Management Consulting—not to mention Fear and Loathing in the Workplace, to borrow from the late Hunter S. Thompson. But what are the tools of inspiration, engagement, and leadership for everyday folks? 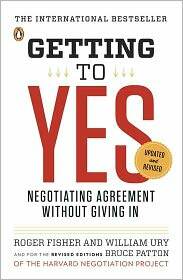 Many of us remember the phrase Getting to Yes from the 1981 tome by Roger Fisher and William Ury about straightforward negotiation. Let’s try to eke out a pathway for Getting to Loyalty, or at least identify the mismatched needs that most open the door to conflict. Here’s the rub as I boil it down from my experiences—the priorities of individuals and companies in the hiring decision funnel are not necessarily aligned. 1) What you do—is the work itself compelling, satisfying for the sacrifices you will make, a set of diverse tasks that will lead to continual growth and learning? 2) Who you do it for—is your boss sane when it comes to managing authority, a reasonable mentor, and a decent leader? 3) How much will you be compensated—is it fair pay for what you produce, or would you be valued more highly elsewhere given conditions 1 & 2 are equal. Note that I put pay level in position 3 of 3, when it will almost always be the #1 tactic someone uses in trying to poach you. You are likely committing about half of your waking hours. Beware the trade, Mephistopheles. 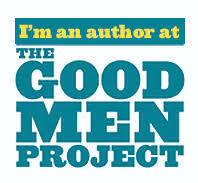 1) Are you competent—does the individual arrive with the necessary skills to do the job? 2) Are you affordable—will you create rather than consume value given how much you are paid? 3) Are you a culture fit—do your needs, work style, and world view remove or add friction to the work environment. If you agree with those contrasting three points as a premise, you can see where loyalty can become an issue, because both sides don’t want the same thing, beginning with tenure and commitment. The individual is idealistic, human, fragile, creative, hungry, in search of self-realization and interpersonal relationships, emotional bonds that can be reciprocal. The company is pragmatic, an inorganic construct that is valued on metrics by objective third-party measures that are entirely unforgiving of missed opportunities in the form of creative destruction. Individual rewards can be intrinsic (good feelings) as well as extrinsic (take home pay), while corporations and their owners are rewarded on a much simpler scorecard by the optimized deployment of capital and management of risk, often avoiding complex human interplay in pursuit of a level playing field and legal fairness. • You want interesting and fulfilling work. The company wants you to do what you have proven you do best. You may want to grow, they may want to pigeonhole you. • You think you’re worth more. They want to pay you less, but more than that, not disturb the status quo for the pay grade into which you fit. If you get a raise, others will come asking, no matter how quiet you promise to be. Leaks are everywhere, because confidential knowledge exchange inside companies is a currency all its own. • You want to be you, not wear a suit of conformity. They say they want out-of-the-box thinkers, but only if they play nicely. People are who they are, not who the company wants them to be. Both individuals and companies know they must change to survive, but naturally resist it. Creativity is not nice. Starting to see the problem about how hard loyalty is on both sides of the equation? Now let’s think about some ways to close the gap. Let’s go outside the corporation for a proxy, to those we love rather than those beside whom we labor. Any sense of loyalty within a family or among friends has less to do with a verbal pledge than it has to do with shared values. We don’t choose our families, but we choose our trust levels, often on the basis of belief sets. We do choose our friends, initially on the basis of common interests, but over periods of time those interests bridge to commonalities of caring. When values are shared and reinforced, bonding is enhanced, we have reason to heal more quickly from conflict. When values are misaligned, it is much less painful to sever a relationship, sometimes with notions or actions that can be punitive. Values are not necessarily unique to people (and no, companies are not people, if you think that, you never worked for a real one). Too many companies state their values in their mission statement, then file it in Human Resources or post it somewhere obscure in the About Us or Recruiting sections of their website. Believe it or not, some companies take their values very seriously. I have worked for companies where core values were a big deal and discussed all the time, and I have worked for those where they never came up except for copy approval in a brochure. You can often tell when you hear senior executives speak publicly about their companies, they lead by example and choose their words deliberately not for public relations, but for accurate representation of the company culture they champion. They know a company is just an artificial bureaucracy meant to produce profit, but they want it to be more and are willing to reach beyond the bounds of the normal to make that happen. If you don’t see a reflection of the values that matter to you in the vision of a company’s leading evangelists, I promise you it won’t get any better deeper in the organization. Values—integrity, honesty, customer service, creativity, responsibility, intelligence, diversity, compassion, respect—can’t be faked. If a company treats its public image as a distinct entity from its actual operating behavior, turnover will be high. That might be okay for you if all you want is a paycheck for as long as it lasts, but just like a company cannot be something it is not, you cannot will it to be something it only pretends to be. You need to know what those values are, and whether they are words or realities. If you get a fit, there’s a chance that loyalty can happen. At the very least, the relationships you build will be more likely to follow you through your career than the accrued value of a pension. A final word for now on values, loyalty, knowing when to stay and when to go—one of the first truly important maxims I learned in business was that given a choice, most employees don’t quit jobs, they quit bosses. Let’s end there. This entry was posted in Business, Career, Management and tagged at-will employment, fear and loathing, Getting to Yes, Hunter S. Thompson, inorganic construct, interpersonal relationships, loyalty, management consulting, Mephistopheles, mission statement, out-of-the-box thinkers, pigeonhole, values. Bookmark the permalink. I have long felt that, unless a forced move is involved, a company that treats its employees right will retain most of them for as long as the employee can afford to stay.